Contains mechanism diagrams, parts lists and schematics for all worldwide versions of DC-X88Z. Also includes remote schematic etc. A few non-essential pages are missing such as specifications. Includes the mechanical and electronic calibration instructions for the tape decks. 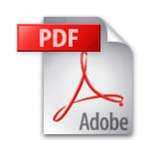 Contains mechanism diagrams, parts lists and schematics for ..